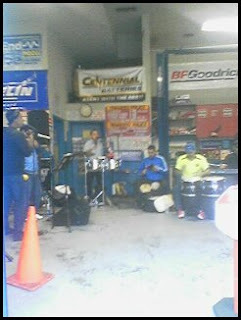 This evening I parked my car around the corner from my apartment and heard some salsa music coming from somewhere. 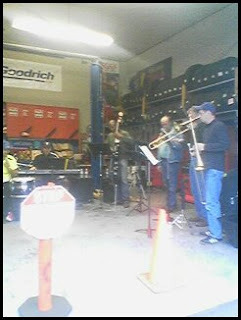 The geek that I am, I followed it down the block and found a salsa band rehearsing at Pepe's Automotive Repair on South Van Ness between 26th and Cesar Chavez St. Love it. Upon further exploration I found that it was Pepe y su Orquestra rehearsing for a gig. The three vocalists are brothers originally from Peru. Love it. Here are some photos I took with my crappy phone camera.